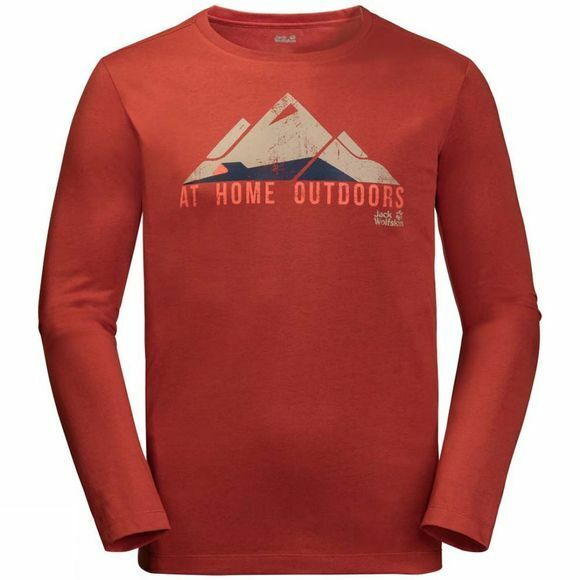 The Mens HolMenkollen Longsleeve Top from Jack Wolfskin is an Essential item for your Outdoor wardrobe. The High proportion of organic Cotton gives this Lightweight long sleeved top a pleasant, natural feel. Layered In Winter or worn on its own In the summer, this versatile piece is comfortable all year round. And it always makes a stateMent. The HolMenkollen takes its name from the Hill near Oslo In Norway, home to the oldest ski jump In the world.